This post is the second in a series of three detailing the learning and reflections I experienced during Creating Space XII - a conference focused on learning from non-traditional leaders. The remaining post in this series will arrive next week. The first can be found here. Passion drives non-traditional leaders to work collectively to create impact from the grassroots up. They frequently face challenges to their work. Several non-traditional leaders at the conference spoke confidently that they and their communities have the inner capacities and resolve to be successful. At the same time, the question lingered - What kind of supports do non-traditional leaders self-identify as wanting and needing? As conversations continued throughout the event, the responses sorted into internal and external responses. Non-traditional leaders were quick to share that many of the passions and emotions that drive their work like anger, a desire for justice, and pride leave them feeling burned out over time. The need for self-care came up as a response. This didn't mean better work-life balance or time with family. 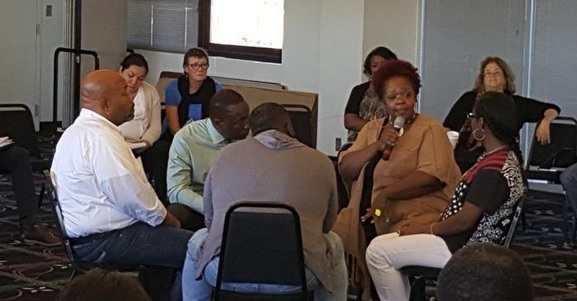 For those that have faced transgenerational or historical trauma and still deal with the effects daily, non-traditional leaders spoke about self-care in terms of healing. Jah'Shams Abdul-Mu'mim describes healing as a chance to transform the pain and hurt from trauma into strength. So "it is not healing versus pain; it is healing through our pain." Healing emphasizes the need to acknowledge and process emotions. Allen Frimpong, an organizer for #blacklivesmatter nyc, talked about how healing is essential for him because the personal is the political. The healthier he is the healthier his leadership is and the healthier his community is. For external support, non-traditional leaders were clear about the number one interest - connections and networks. Some spoke about this as being able to access the influence not available in their own networks. Others discussed the desire to have a community of other non-traditional leaders to be present to one another in mutual support. Non-traditional leader Billy Hebron saw connections as an access to resources. 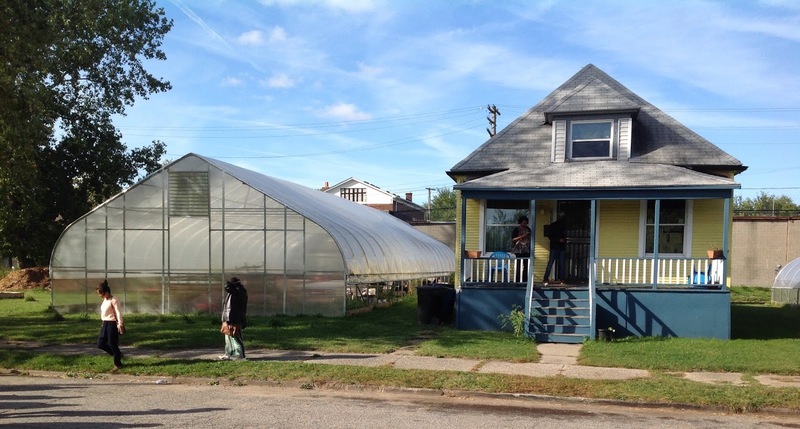 He and his partner Jerry started a community garden to provide healthy vegetables to neighborhood residents when the local groceries left their neighborhood. They were able to triple the size the of the garden when grant money provided them the opportunity to build two greenhouses. Samantha Magdaleno, an organizer and educator, talked about the needs for funders or institutions to loosen up if they want to work with non-traditional leaders. "If you want non-traditional leaders, you have to be prepared for mistakes and you have to be prepared to let go." Other non-traditional leaders echoed this in the conference. On a panel talking about measuring the impacts of non-traditional leaders, Dr. Ebony Roberts said it was key that the communities get to define what success is. Another external support that non-traditional leaders were unified in desiring external partners and funders who encourage non-traditional leaders and communities to exercise their own voices. Where issues of race were concerned, non-traditional leaders of color spoke of tension with white allies when the white allies wanted to insert their voices in places where voices of color should be present. So what will support look like in your community? Come back next week for the third part of this series examining some additional reflections and learning regarding non-traditional leaders.